Imagine receiving text messages to your main phone line or sending reminder texts to clients or staff that was programmed days in advance. Imagine transferring a call from a client who is lost at the airport directly to his chauffeur’s cell phone with the push of a button. Was there a dispute over the communication between the lost client and the chauffeur? Send the client a recorded clip of the call via email so you can listen to it together. Does all this sound futuristic? I bet you are thinking there is no way you could afford a system like this. 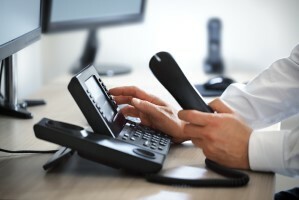 The truth is, VoIP technology has vastly improved small business communications with the cost being a fraction of what yesteryears PBX phone systems used to cost and can perform so many more tasks due to technology improvements. The basic auto-attendant that asks people to Push #1 for this or #2 for that is of course an included feature. But, it gets even better. You can program incoming calls to go to an office employee from 8:00am to 5:00pm and then automatically transfer the calls to yourself at the end of the day. If for some reason you can’t answer an after-hours call, the call can automatically be directed to a backup person and all of this is seamless to the caller. A staff member in the office can even place a call on hold and the call can be picked up from completely different physical location. If you are expecting a call but need to leave the office, no problem. Your expected call will “follow you” when it arrives and ring to your cell phone after a few unanswered rings on your desk phone. No matter which phone you answer, the call will be recorded and available for playback up to seven years later. If your employees use their personal cell phones for business, they can be assigned a “virtual number” for their personal cell phone. When they send or receive texts or calls, the other party will see the virtual number displayed rather than the employee’s actual personal phone number. Speaking of texts, you can send text messages to all of your clients at once or a targeted few announcing special offers or weather information impacting your day and expected delays. You can also obtain robust productivity reports showing who is on calls the longest or most often. You can see who they are calling and who is calling them. All of these rich phone features are available on a VoIP system with phones like the Grandstream phone shown for about $100.